Want to encourage your kids to love reading? 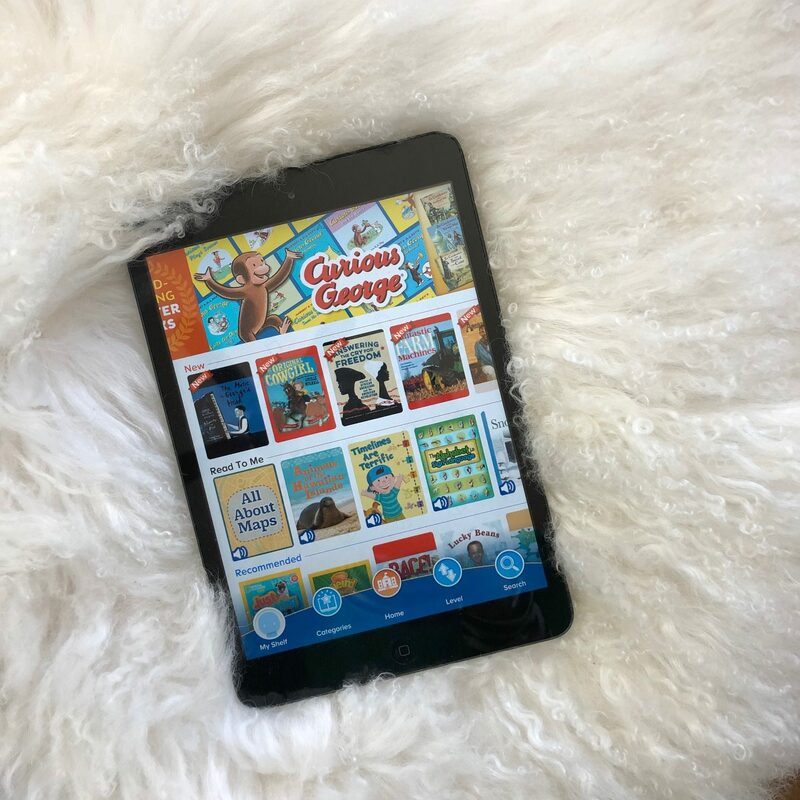 ReadingIQ is a brand-new online digital library for kids that offers thousands of books for all reading levels. When ReadingIQ contacted me about possibly posting about them (and giving you all the opportunity to sign up for a completely free month! ), I got all excited because I wondered if this might be perfect for Silas. Those of you who have followed along here for awhile know that Silas struggled to learn to read. It ended up taking him three years of hard work to master beginning reading. He worked so diligently and we’ve been so proud of how far he’s come and how determined and diligent he’s been. Because of the struggle involved, though, he would only read when he had to. If it was an assignment, he would read a chapter in a book, but he never would read on his own… just for fun. However, that all changed with ReadingIQ! I showed him the program to see what he thought about it and he was HOOKED from the get-go! He set up his account almost all by himself and figured out how it worked. Then, he started reading — and he just kept reading and reading and reading! 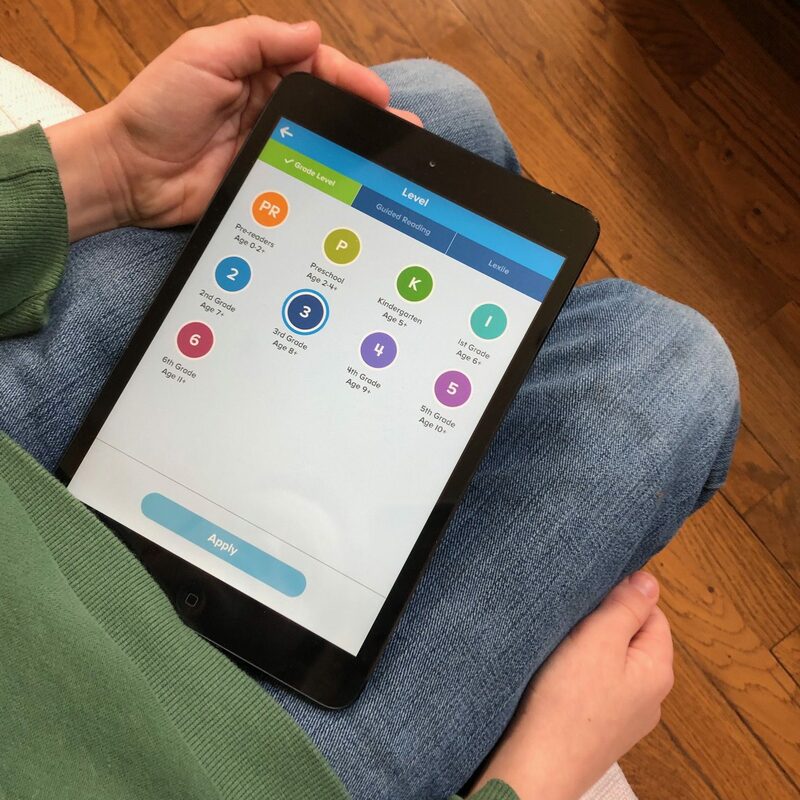 In the last 6 weeks, he has logged close to 600 minutes of reading on ReadingIQ… all on his own. And did I mention this was with almost zero coaxing or encouragement from me? That might not seem very impressive to you if you have a child who reads a big chapter book every day, but this was MASSIVE for Silas. 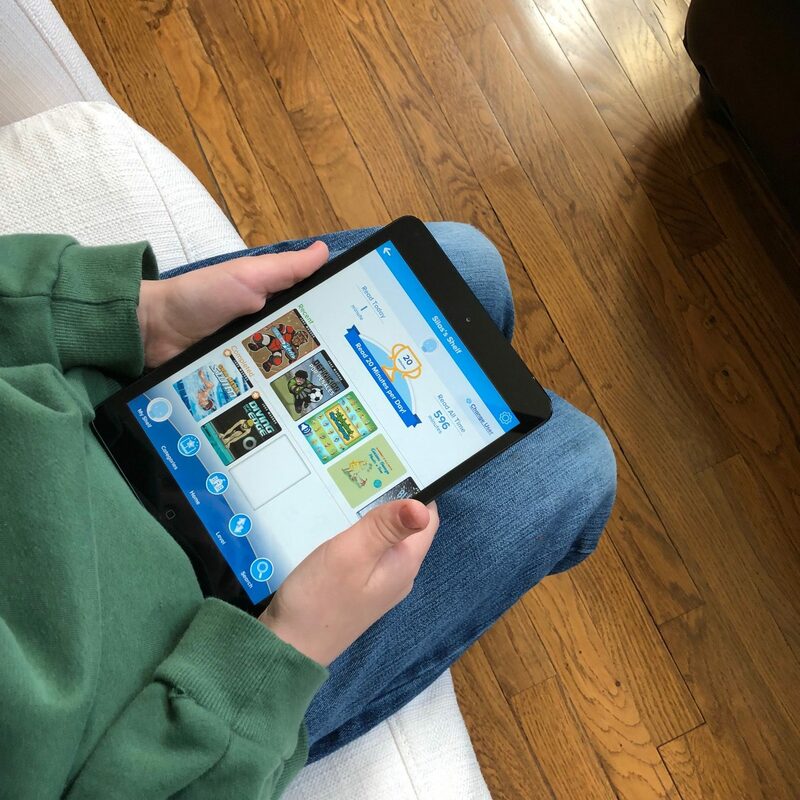 It is 100% thanks to ReadingIQ and how they make reading so fun and offer so many great books at all reading levels with just a click of a button! 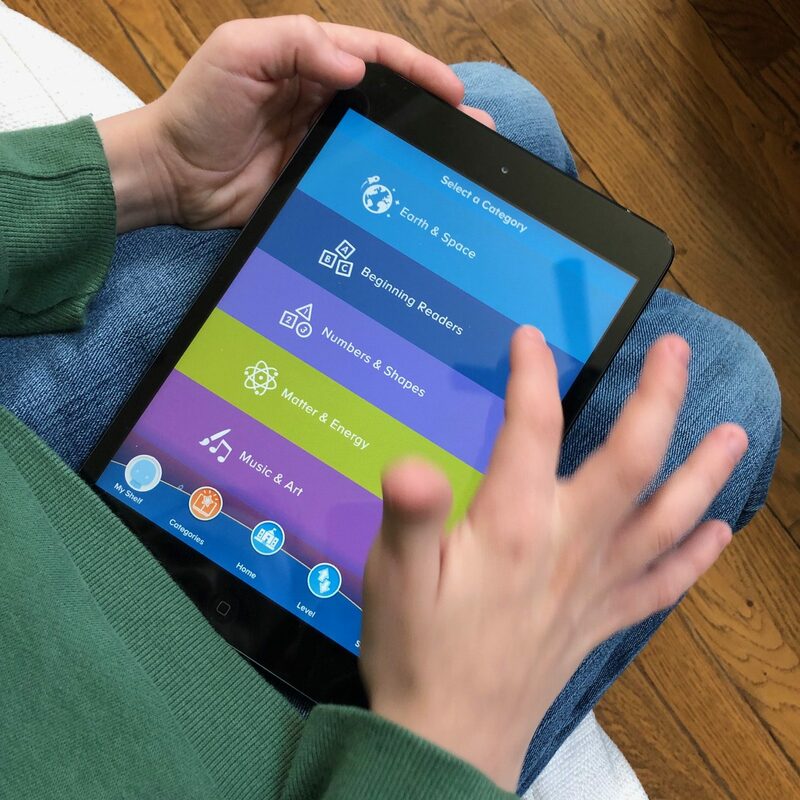 Silas LOVES that ReadingIQ tracks your time read, where you left off in a book, and all of the books you have read. He also loves that there are so many different genres and fun titles to choose from. He has proudly come to me multiple times to show me all of the books he has read. They are all listed on his shelf and it makes my heart utterly thrilled to see my boy falling in love with reading! 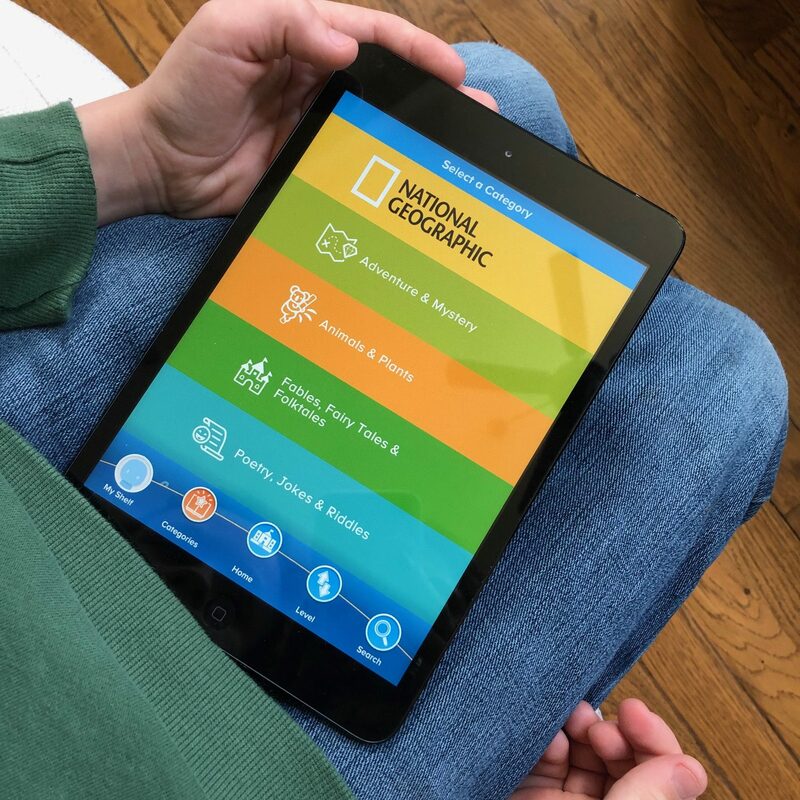 If you want to try out ReadingIQ, you can get one month access completely FREE. Just click here and sign up and you’ll get the first month for free. Our son enjoyed reading until all this AR testing that started in 1st grade. Now in 3rd grade he has to receive 10 points to receive his Book it. Each 9 weeks 20 plus points. There are books he is interested in but either they are not AR books, not the correct star, etc…. I may check this out to see if it helps. I’m so sorry! Definitely check it out and try it for a few weeks to see if it works for him! My 3rd grade son HATES AR as well. We just don’t do it. He is a great reader and reads readily for learning and enjoyment. I would rather he takes the hit to his grade than teach him to hate reading. I’ve explained our decision to his teacher and she doesn’t push it. It helps that he is the best reader in the class, but I’d fight for him even if he wasn’t. I’ve never made my boys do any reading for homework or otherwise that was boring or well below their reading level. It is very important to me that my children love learning and I try to advocate for them by removing unnecessary things that obstruct that goal. Now my first grade son loves AR, so obviously it works for some kids. Our children’s teacher had a short “book report” style form to fill out for the kids who read books that were not in the AR system. My son has always preferred non-fiction and AR doesn’t have many for 3rd graders (at least they didn’t – my children are 8th graders now). Something for that discussion with the teacher! I’m so sorry that your son has felt AR is a negative experience. We have absolutely loved the AR program because both our kids have liked the competitive side of it. Our school doesn’t require it, though. They strongly encourage and kids with the most points receive medals at the end of the school year. ARbookfind.com is a great resource for parents to see which books are appropriate. The only books we’ve found that don’t have AR points associated are either too new (the latest in a series) or, occasionally, a Christian fiction sort of book that isn’t widely published. 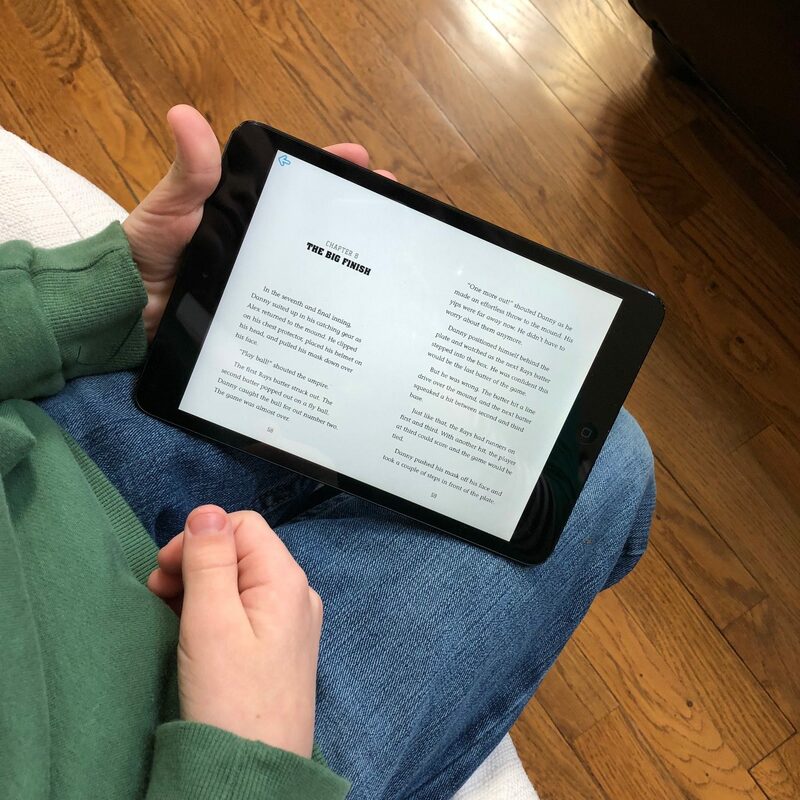 One other idea, if you google AR and whatever grade level he reads on (for example, AR books 3rd grade readling level), hundreds of hits will pop up with full lists of books. Our son started with Magic Tree House in first grade and now really enjoys all of the Warriors series (cat clans – kind of odd but the kids love them! ), Tim Green books (sports series), The Wild Ones and many others. It’s nice when they like a series because they get ‘hooked’ and the points add up! Hope you’re able to find what works for your family and encourages a love of reading! 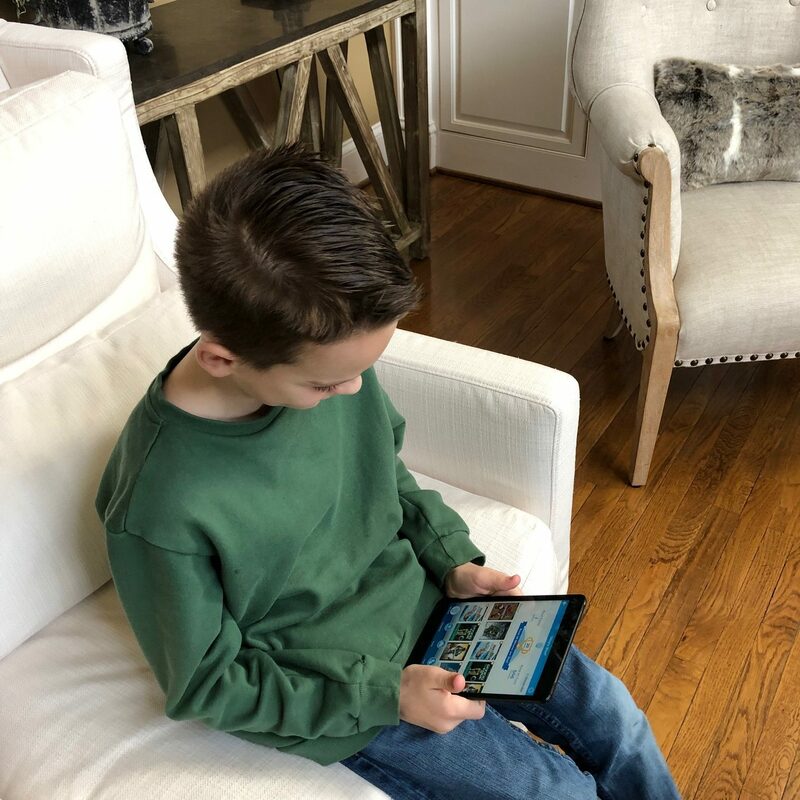 I am so glad you found something that has given your son the joy of reading. I would rather read than eat; sleep is the only thing that trumps reading and sometimes it’s a tight race! I did share this opportunity with a co-worker who’s grandchildren fall into this age group. Thank you so much for the information. Do you know if the program is compatible with Kindles? Thanks. It’s an app that you download, so I think it would work on a Kindle, if you can download apps onto your Kindle. Do you know if this would work on the paper white kindle? If not, do you notice if your son has a hard time winding down at night from the backlight on his device? He hasn’t used it at night… it’s always afternoons and on the weekends, so I can’t speak to that. If you can download apps to the Paperwhite, then it should work on it I believe. Why do this instead of checking out books online from the library for free or from Prime Lending Library which is also free? 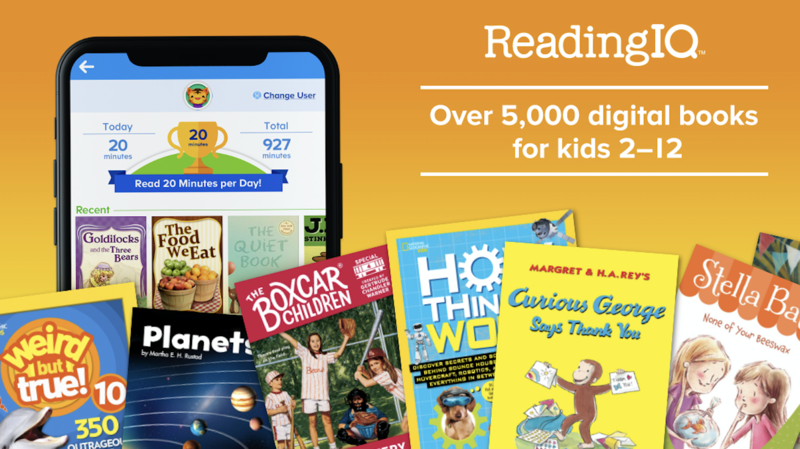 There are reading tracker apps for free also. I think those are great options, too! However, neither is quite as fun, kid-friendly, or all-in-one-place like this one is. Plus, I would need to really watch and oversee everything since there are SO many non-family-friendly books on both of those platforms. I also haven’t found that there are thousands of books to choose from and hundreds that he would get excited about. 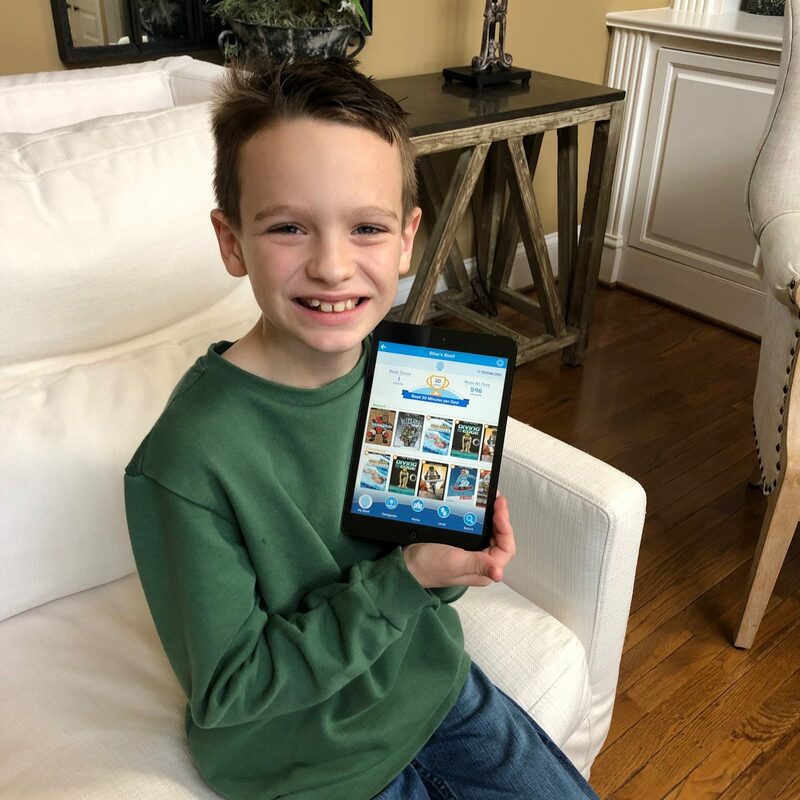 I think the fact that on ReadingIQ he has access to so many books, can add them to his shelf, can see how much time he spends reading, and can see all the books he’s completed, really motivates and excites him. I wanted to share this because it’s worked SO well for us + they are offering the free month and I love to pass on freebies that I think other families might enjoy! If you have a better setup for your kids that works well for them and keeps them motivated with reading, then I think that’s fantastic! My goal here is to provide lots of different low-cost and free options for families since I know what works for one family won’t necessarily work for others. To avoid non-family friendly books you’d need to check the books out yourself from the digital library or Prime Lending Library. 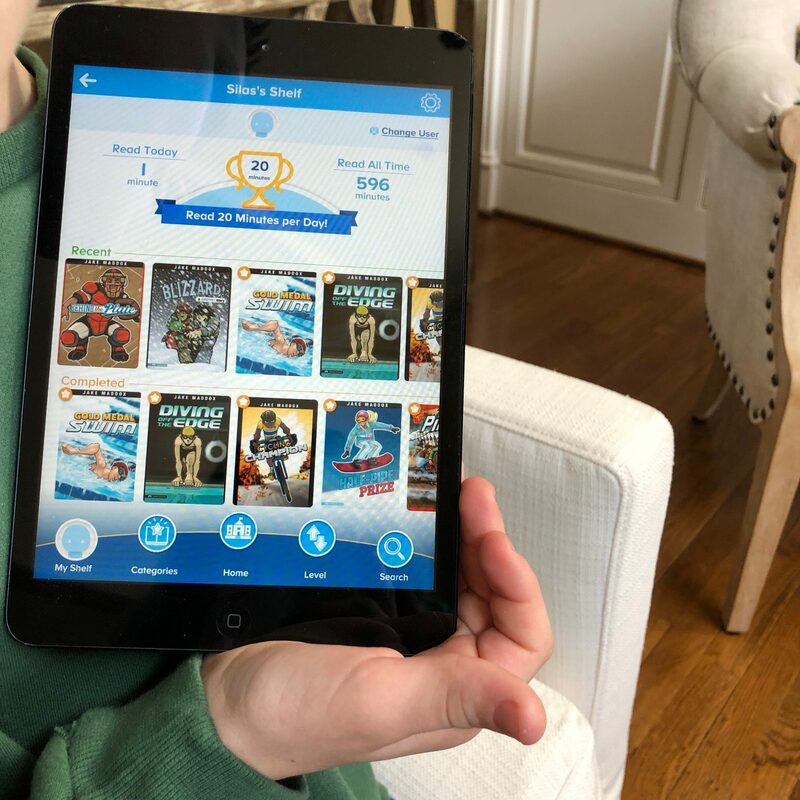 Yes… Silas LOVES that he gets to choose the books himself and has thousands to choose from on ReadingIQ! At least at our library: The user interface for the library is not kid friendly and something my child can interact with on her own. Plus we have strict limits how much we can check out at once. And we don’t have access to the Prime Lending Library either. What an amazing resource!! I have been down lately because I watched a Ted Talks about how dangerous technology can be for children. It really has be scared, and I really believe it’s based on solid evidence, but I also believe that technology can be wonderful for children when used correctly! This post gives me hope that kids can blossom when technology is used as a learning tool! Thank you so much! I think that technology had been a great thing when used carefully and wisely… and it can also be dangerous and detrimental if not used wisely. I’m glad this post gave you hope! Do you think this would be helpful for a child with dyslexia? I am not sure on that… maybe try out the free month and see? Or ask a dyslexia specialist about it? Bookshare, Learning Ally and Audible with the Kindle book to read along. Just laying a foundation there they like books is a great start. What helps me is to remember that is is no rule that says how I consume the books is important; it’s that I comprehend the material. So if I read it; you read it to me or I follow along as a books is read by an app doesn’t matter at all. If you have their profile it should speak to what helps them the most. Such a great resource. My older kids love to read and we have access to a great library right now, but I could definitely see us using this when we’re traveling. Do you know if the free month is a limited time deal or do they always offer it? They are just launching, so I believe that is why they are offering the free month. I don’t know that it’s going to be a longstanding thing. This is AWESOME!!! Way to go, Silas, on reading so much!!! My son does not enjoy reading and only reads what he has to. I had remembered your posts about Silas, and they always encouraged me! And my mama heart just had all the warm fuzzies reading that your sweet boy loves to read voluntarily!!! I’m going to have to try this!!! I have multiple kids(three) and noticed it said up to 3 kids. Do they have different log-ins to track each kid? Thanks for posting this!!! Yes, I believe they each get their own account that will be under your parent account — so they can track their own minutes/books read, etc. Can you read books without an internet connection? Sometimes my kids read in the car on the drive to and from school and I’m wondering if books can be downloaded for times like that when there is no internet. Thank you! 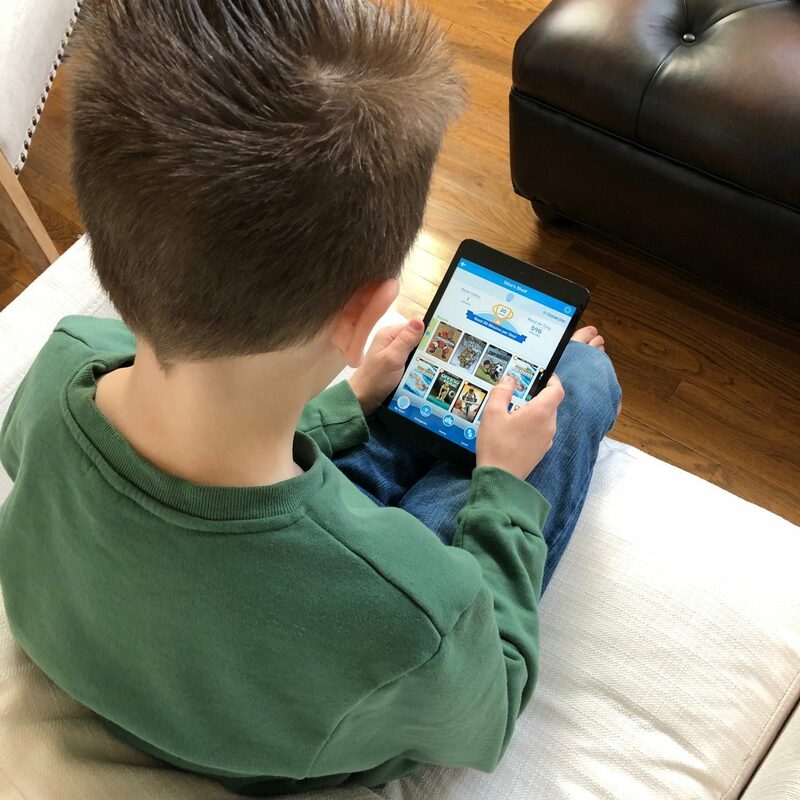 I have been looking for some ways to increase reading in our homeschool that is also fun and independent. This is perfect! I am signing up now. I am so excited!!! And way to go, Silas! I know your parents are so proud of you. Oh yay! I’m SO glad this was something that will be helpful for your homeschool! My two boys both struggled to want to read until they hit about the 4.0 “AR” scale. I think so many of the easier to read books are boring or just plain gross. Glad your little man is reading now!!! Check out Epic. It can be downloaded as an app or read online. It’s free, and the books are interactive.